Many of us have already visited ACM once, twice, a half dozen times. NO MATTER!!!. 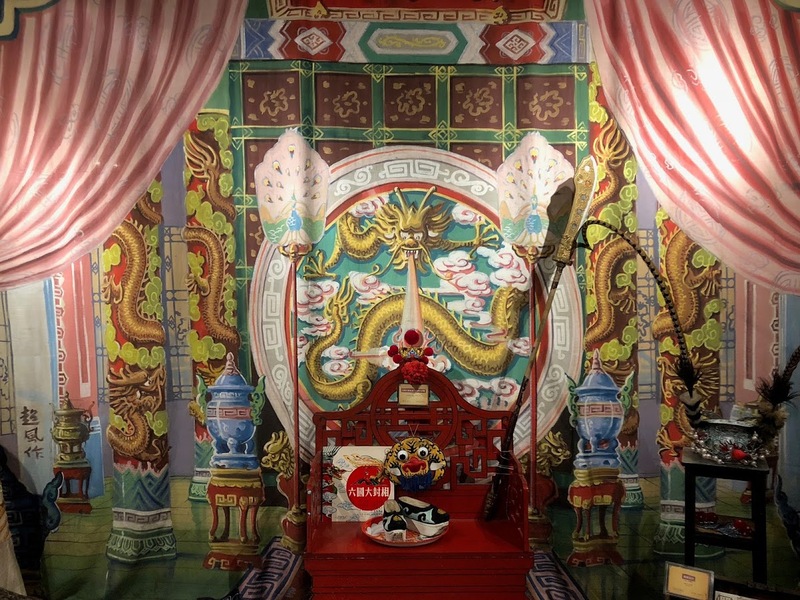 It’s time to head down to Singapore to enjoy the newly renovated treasure trove whose freshly curated galleries are bursting with artifacts you probably have not seen before. 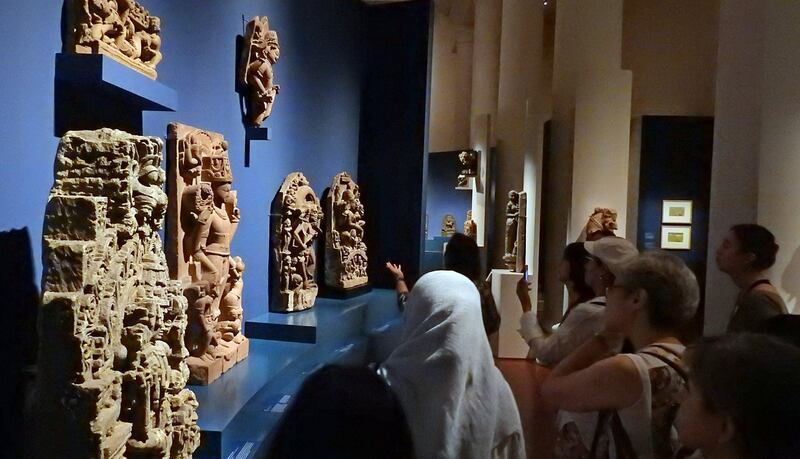 Virtually all of ACM’s galleries tell stories shared by Malaysia and are sure to inspire our guiding. This is the oldest part of Empress Place, the building housing ACM. It is its middle section, built between 1864-67. 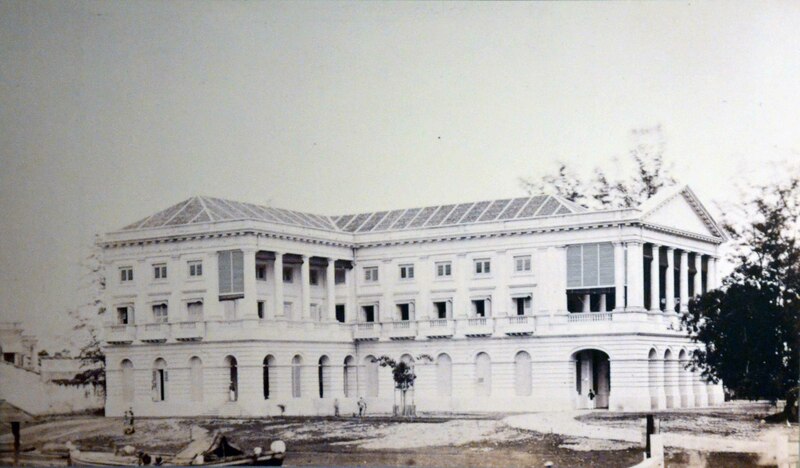 The building was constructed to house offices of the British Colonial Government and, hence, the building was simply known then as “Government Offices”. In 2014 ACM announced an ambitious plan to build a modern new wing, develop a light filled entrance upon the Singapore River and create larger spaces where stories about artifacts and culture can flow into one another like the rivers and trade routes of South East Asia. These large and lovely new galleries opened in 2017. 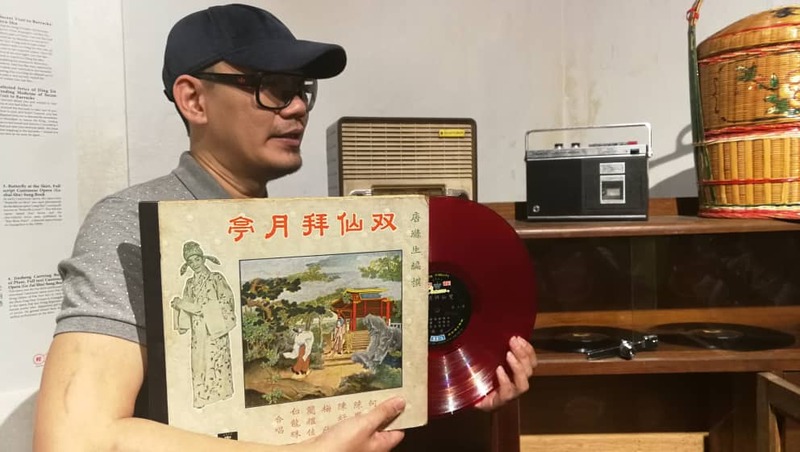 The latest director Kennie Ting further developed the integrated approach and explained that the Museum is sifting from an ethnographic focus to one that pays more attention to art. 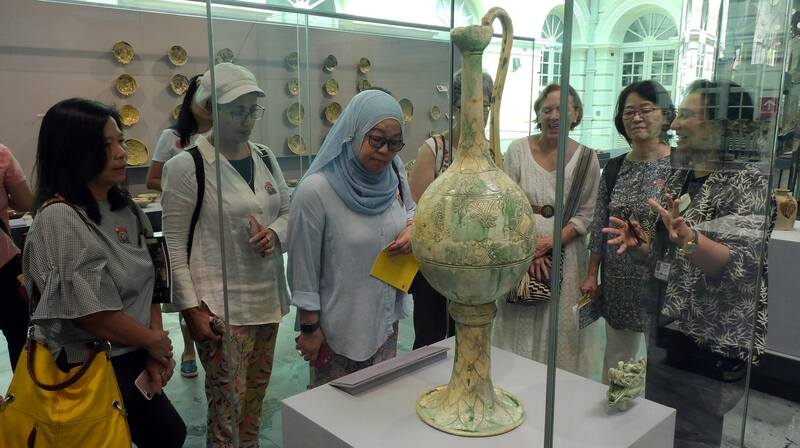 ACM Volunteer, Dr. Vidya Schalk, describing an ewer found on the Belitung Shipwreck, a shipwreck discovered off the coast of Belitung island laden with Tang Dynasty ceramics. 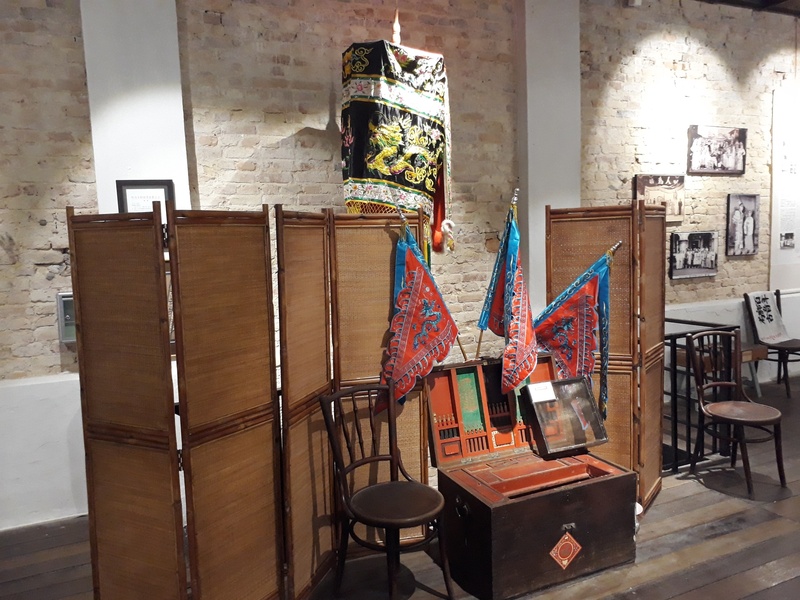 The practical realization of these curatorial visions are immediately apparent on each floor which are filled with artifacts and stories shared with Malaysia. The ground level flows through with the history and culture of South East Asian trade. 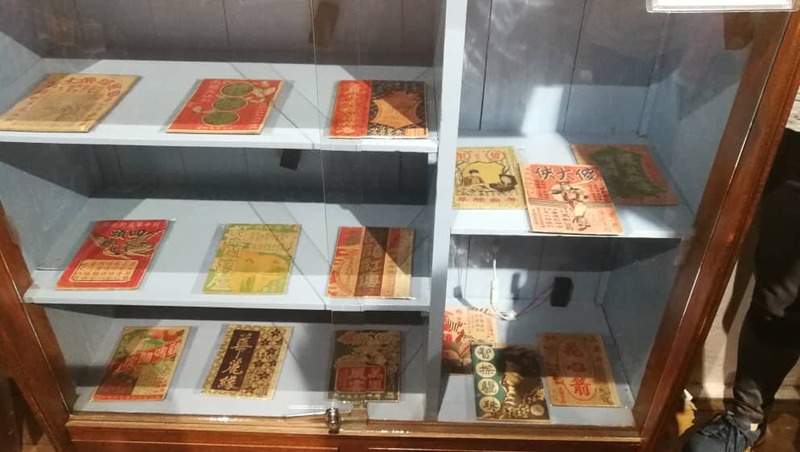 The second floor shows how systems of faith and belief spread across South East Asia, with resulting cultural and aesthetic adaptions of religious art. In 2019 the third level will open focusing on the textile traditions of South East Asia, another shared focus. Subsequent write ups will share details of the treasures to be viewed. 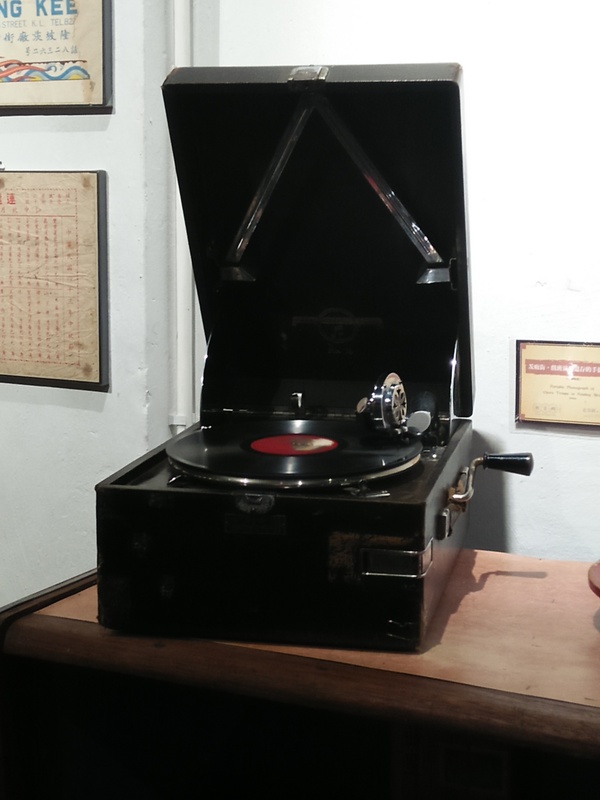 Muzium Negara is filled with far more artifacts and displays than can be shared in one tour. It can be energizing to re think your route through the museum using new threads of emphasis. A few ideas: How might you structure a tour based on the ACM focus of aesthetics? Trade focus? Craftsmanship? Cultural and or religious adaption? Migrations of peoples? If you are looking for some inspiration to change your tour, every corner of The Asian Civilizations Museum should provide enlightenment. The guides who visited just last month are already out of date. 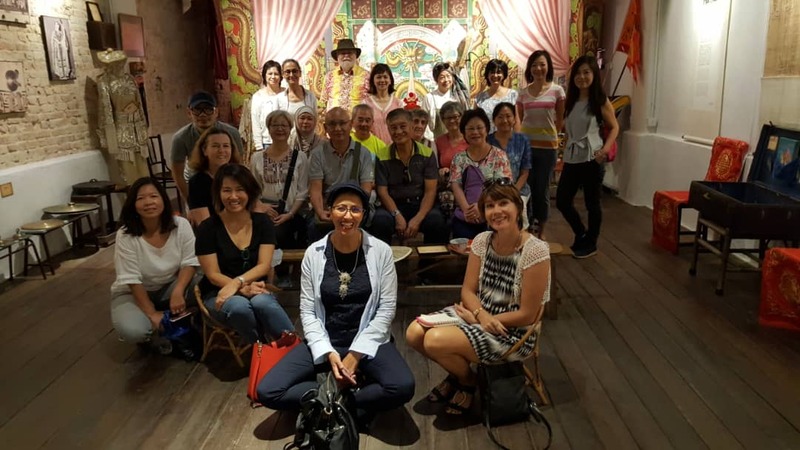 Since our tour the Islamic Galleries have opened and feature a magnificent Hornbill sculpture from Sarawak that the Docents of Muzium Negara are sure to appreciate. 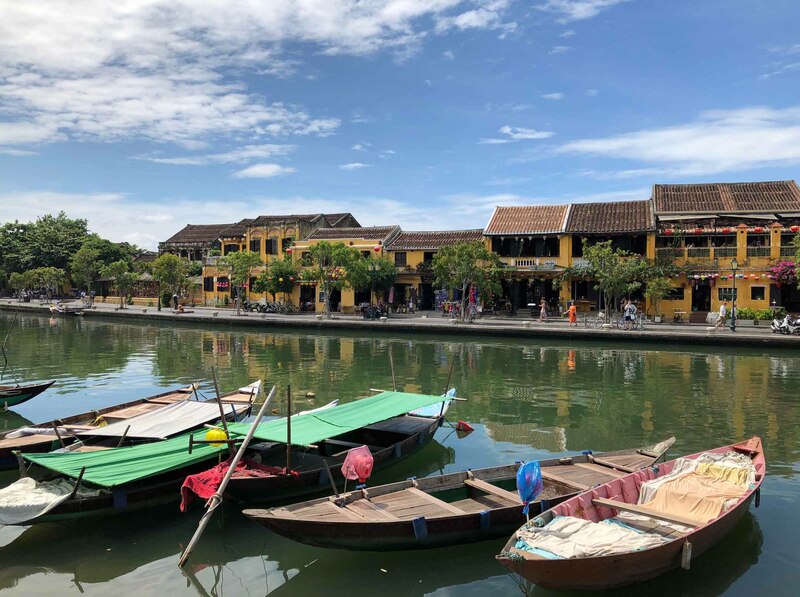 The ancient town of Hoi An lies thirty kilometres southeast of the city of Da Nang, Vietnam, on the northern bank of the Thu Bon River in Quang Nam province. Declared a UNESCO World Heritage Site in 1999, Hoi An was once an international port town where traders from China, Japan, Arabia, Persia and Southeast Asia came to trade during the Champa period (2nd – 15th century CE) and later, traders from Europe during the Dai Viet period (15th – 19th century CE). Today, the town remains intact with more than 1,000 well-preserved building structures comprising architectural monuments, commercial and domestic houses, pagodas and temples. Hoi An has a total area of 60 square kilometres with a population of around 90,000 people. The Hoi An Museum is a building on its own with two floors of galleries housing artefacts, sketches and photographs from the pre and proto historic periods (ancient times to the 2nd century CE), the Champa period (2nd – 15th century CE), Dai Viet period (15th – 19th century CE), and the Resistance War against the Americans (1955 – 1975). There are two galleries on the first level of the museum. 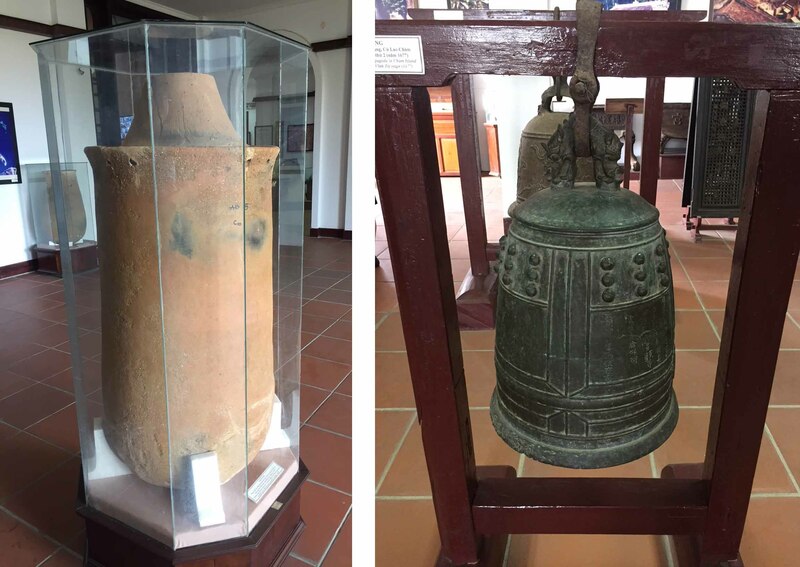 One gallery displays numerous burial jars and urns in various sizes dating back 2,000 years while the other gallery has a collection of bronze bells and Vietnamese blue-and-white ceramics from the Champa period. It is believed that the Champa people founded Hoi An, which was originally called ‘Lam Ap Pho’ or Champa City. The Kingdom of Champa in Vietnam is considered the oldest in the Malay world dating to the 2nd century CE as the people practiced Malay culture and spoke Malayo-Polynesian language originally while the Cham language became the official language later. Hoi An was a very wealthy port between the 7th – 10th centuries CE, trading in spice and silk, exporting aloe and ivory. 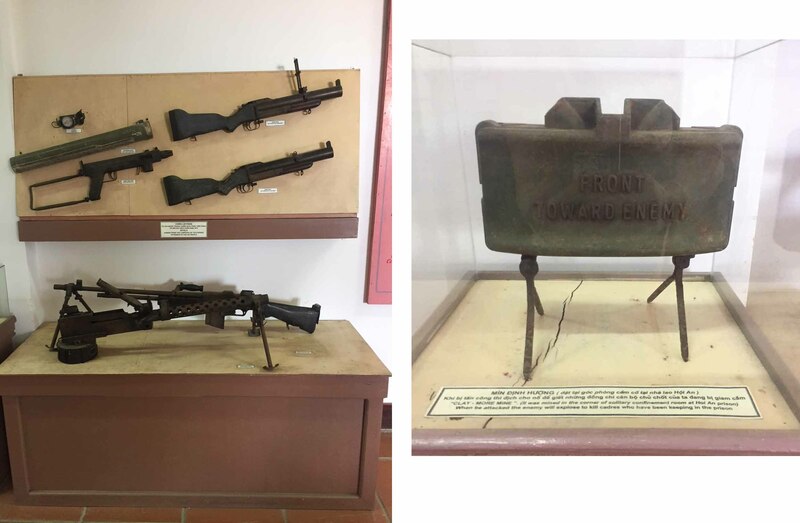 The gallery at the top floor exhibits artefacts from the Resistance War with the Americans. 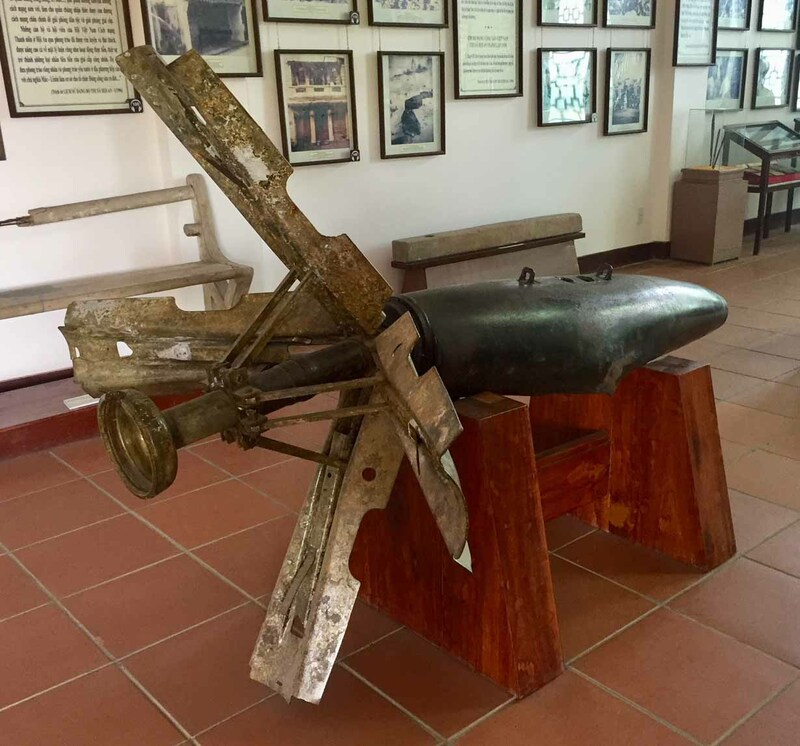 Many types of weapons and machine guns, parts of planes, bombs, clothing, torture instruments and even a trap of iron spikes can be seen here, supplemented by photos and information boards in Vietnamese. 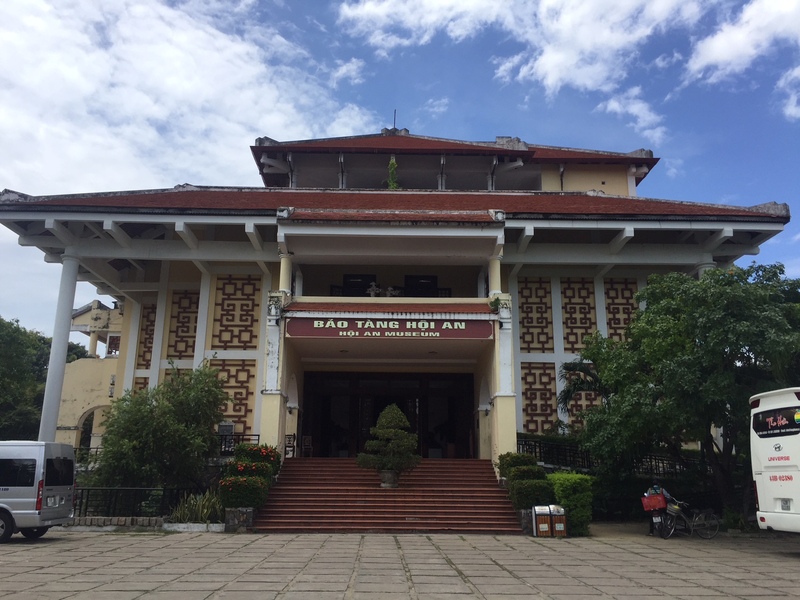 The topmost floor of the Hoi An museum is where visitors have the opportunity to get a bird’s-eye view of the city from above. The outdoor environment also provides a picturesque scenery for visitors should they want to snap a few pictures of the ancient town in all its charm. 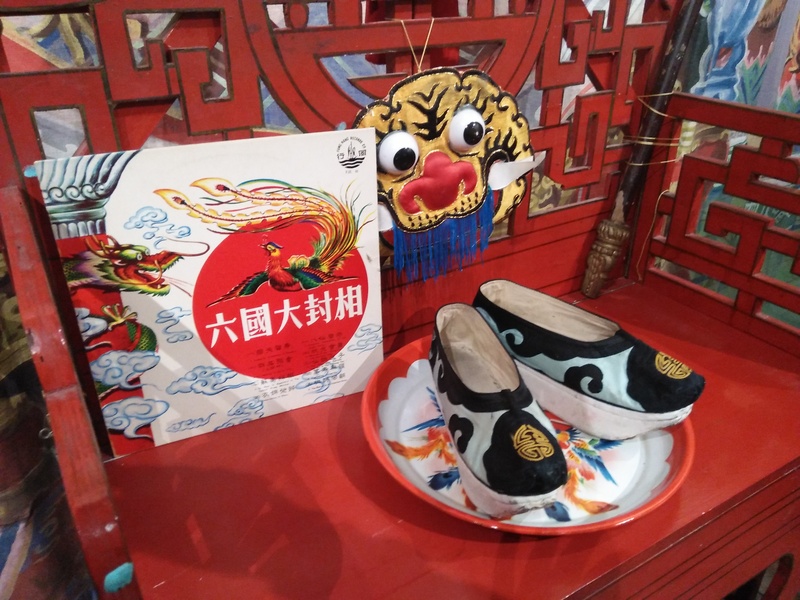 The visit to the museum can be completed within an hour as the museum is quite small and as written on one of their information boards; ‘only some symbolic artifacts and photographs are shown’. 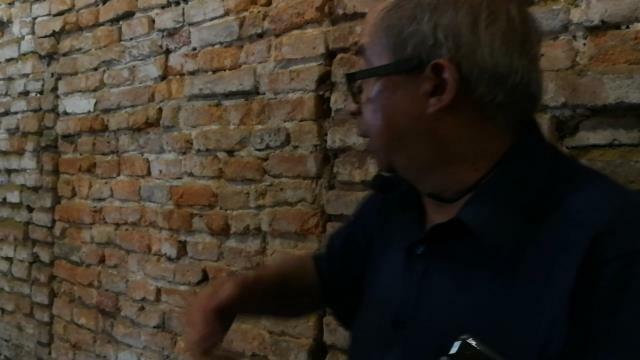 I tagged along with the King’s College Alumni for a weekend tour of Malacca earlier this month. 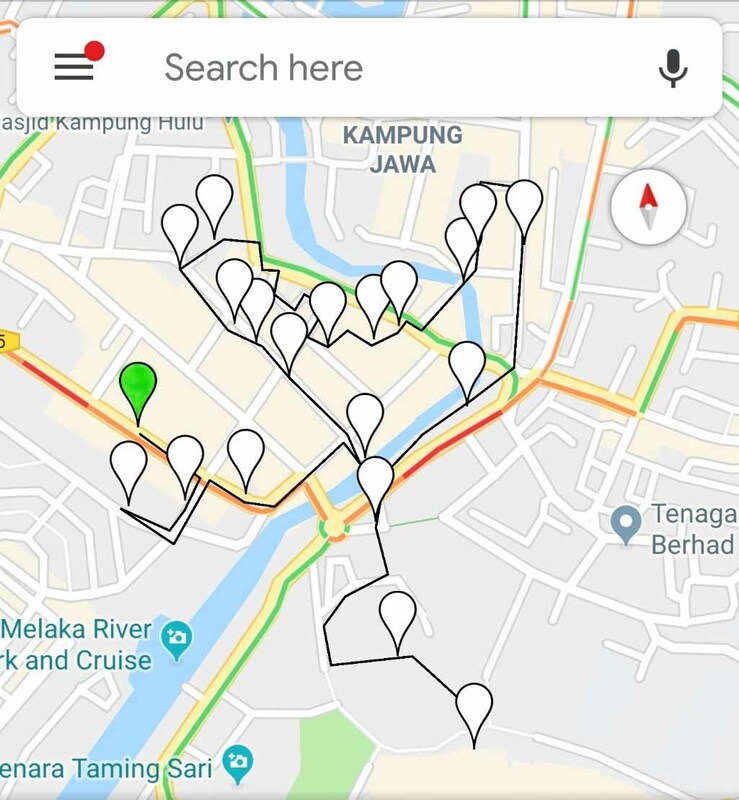 The highlight of the weekend was a walking tour conducted by Professor Johannes Widodo from the NUS School of Architecture. The tour started at the Tun Tan Cheng Lock Centre for Asian Architectural and Urban Heritage located at 54-56 Jalan Tun Tan Cheng Lock. 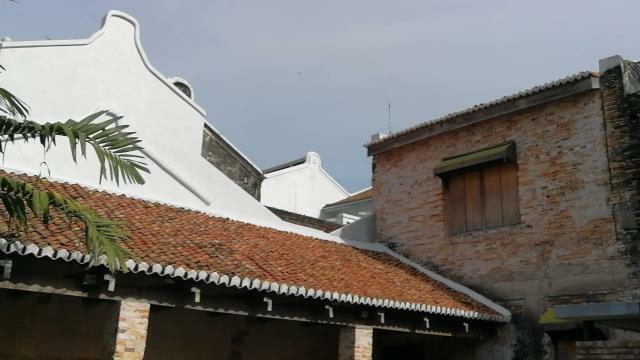 A write-up on this Centre will be the first instalment of my “Professor Widodo Malacca Walking Tour” series. Route taken during the walking tour. The Tun Tan Cheng Lock Centre is marked in green. 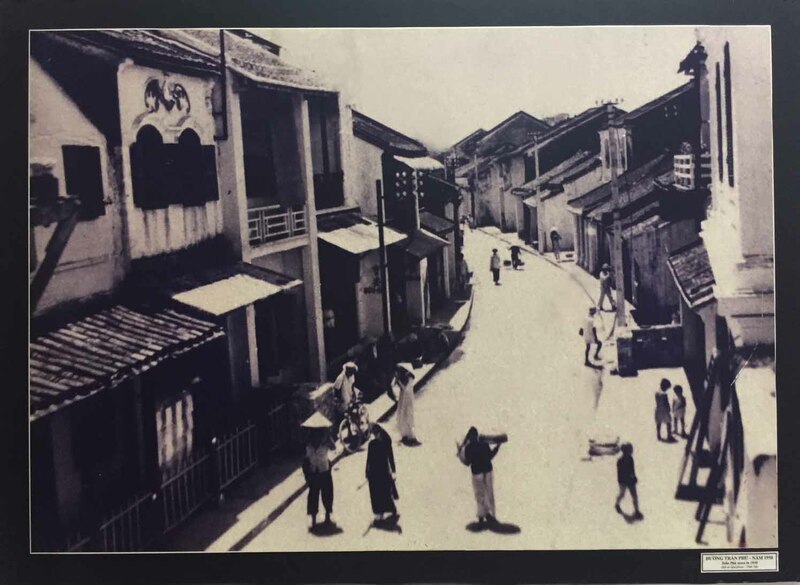 Tun Tan Cheng Lock was a Baba Chinese. He was a leading member of the Straits Community and was the first elected president of the Malayan Chinese Association (MCA). He contributed significantly in the field of education, social welfare and politics. The road was named to commemorate his many contributions. 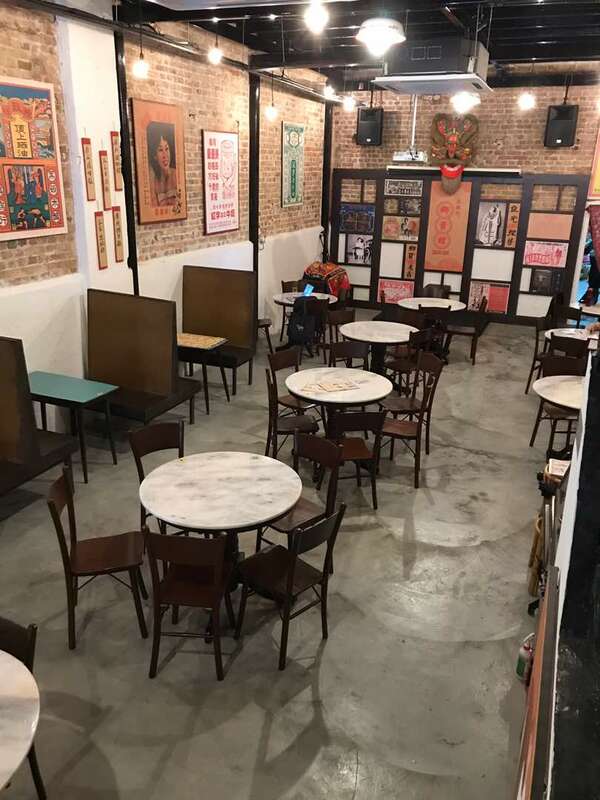 The Tun Tan Cheng Lock Centre is located in a townhouse along Jalan Tun Tan Cheng Lock. It was almost demolished 10 years ago as there was a proposal to create a walkway from the Kota Laksamana parking area to Jonker Walk. The plan to demolish this building failed due to the intervention of local NGOs. 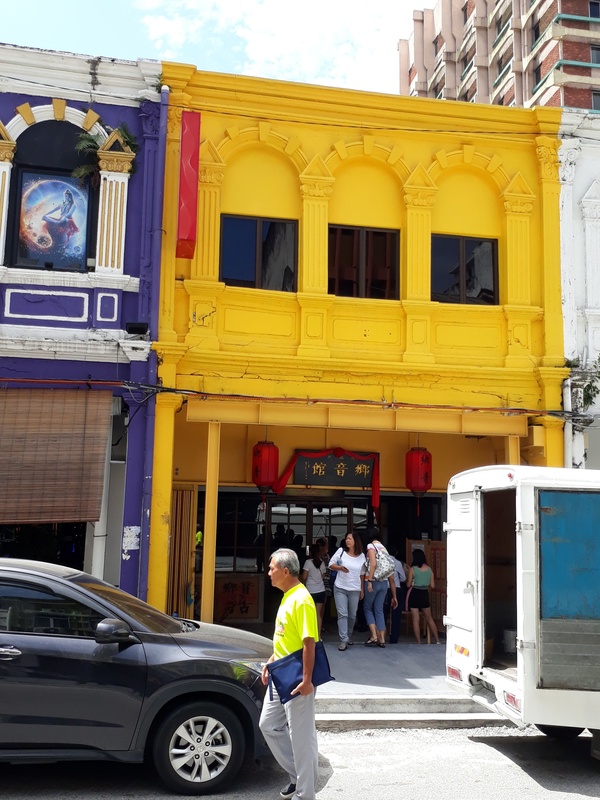 This building was used as a maternity clinic for Dr Ong Bak Hin (one of the first Malaysian doctors who graduated in England) in 1920, Yeoh Maternity home in 1955, Aik Siow Clinic in 1977 and in 1980 as a rest house and subsequently a storage warehouse for Syarikat Abdul, an antique junk dealer. 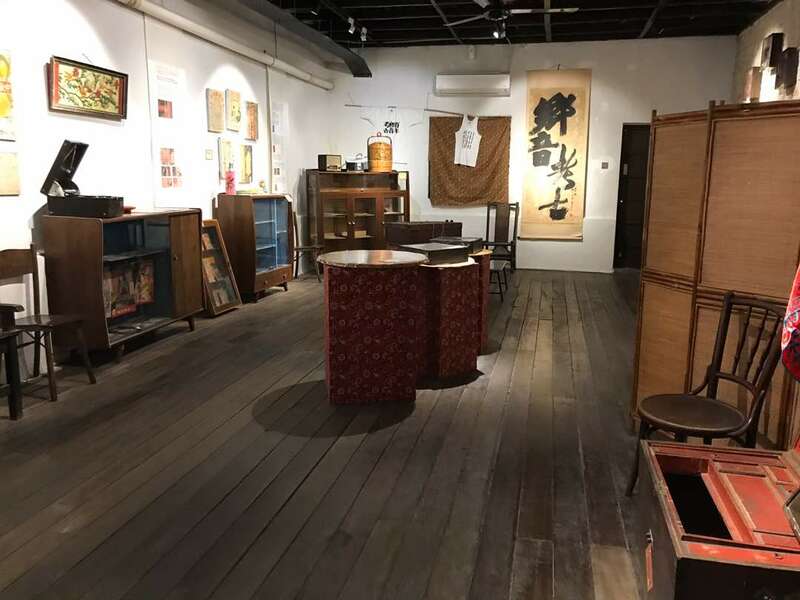 The two shoplots were sold in December 1992 to Tay Kheng Soon, a Singaporean architect, and they were finally purchased by Miss Agnes Tan and bequeathed to the School of Architecture NUS. 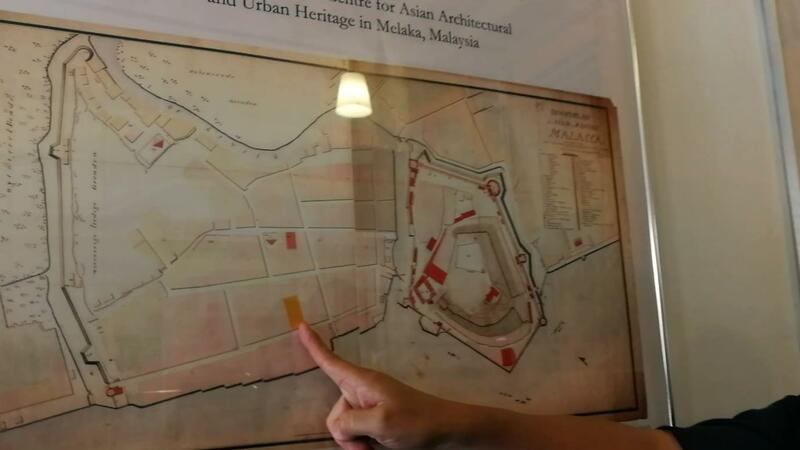 A 1605 Portuguese map of Malacca shows that there was a market place where this building currently sits. In a map dating 1663, the location of building is where the orange box is. It is close to the sea which is at the bottom of the map. 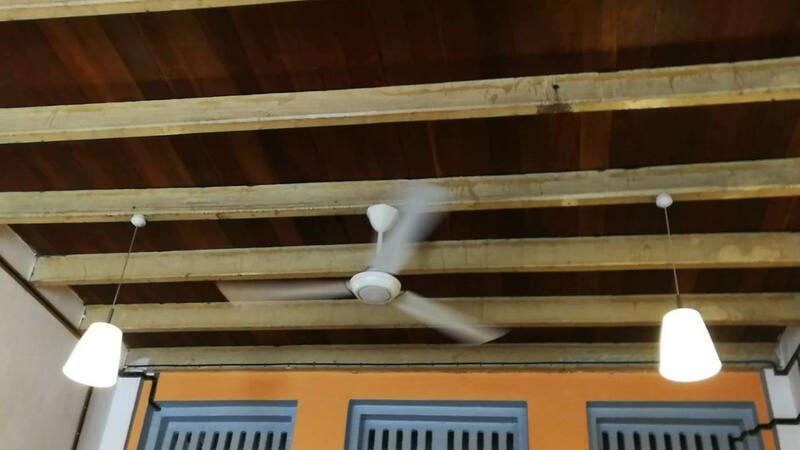 All the yellow beams in the ceiling are original, but the brown wood is a replacement because the original wood was rotten. The wall of the building almost collapsed and had to be restored. 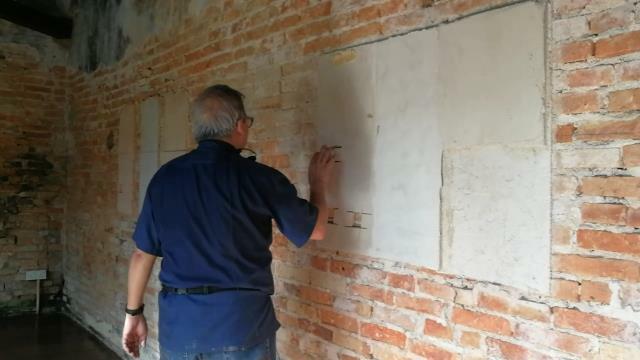 After the plaster was scrapped off, the conservationists saw different types and sizes of bricks dating from the Portuguese, Dutch, British and Malaysian eras. 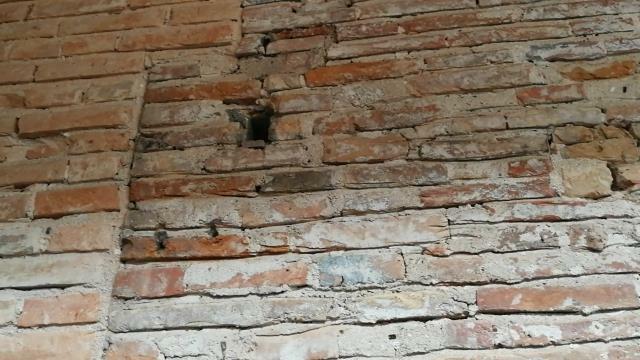 The plaster was not reapplied as they want to let the wall tell the story of the building. 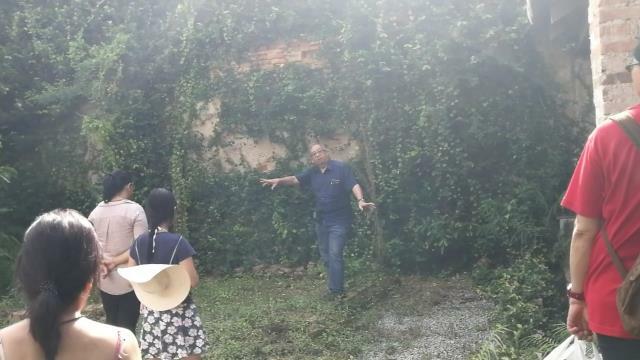 The Breaking Line of the wall indicates the movement of this building and tells us that this building was not built at one go as there were extensions forward and backward from the core. The Line on the brick wall shows the first facade of building when the surrounding area was still the sand and was near the sea. The steps were built after they closed the connecting door. In the beginning the neighbouring houses were connected. The subsequent owners closed the connection and they then built the second floor. 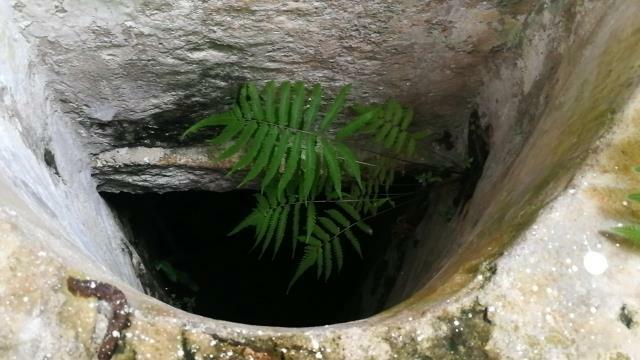 The well was shared with the neighbours. 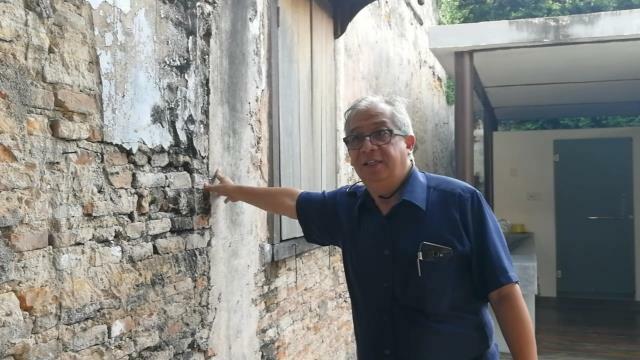 The hole in the wall was made when the building was used as a warehouse in the 1980s when it belonged to Syarikat Abdul. 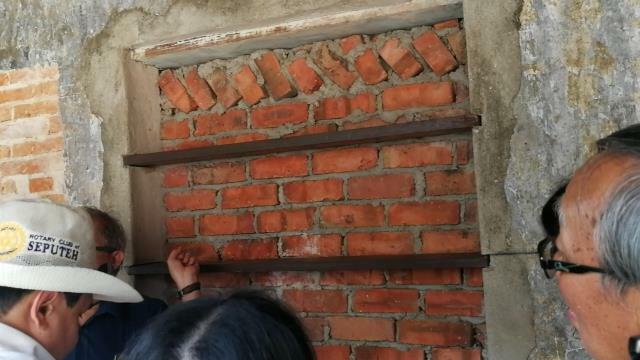 This wall collapsed and was stitched with concrete but the concrete was not covered up so that students can learn how to stitch a falling a wall. 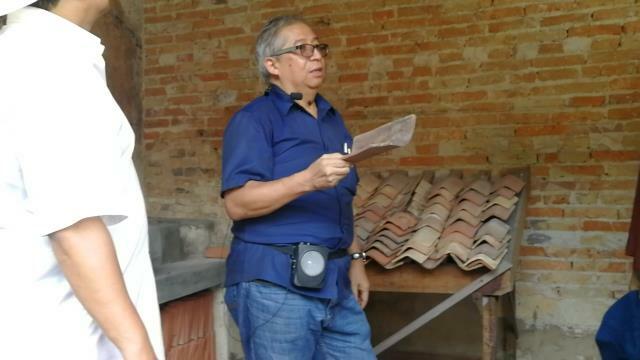 Conservationists experimented with various types of plaster so that they can learn which one is better for conservation. The Pit is kept open to show that there is sand inside. This used to be a coastline. You can find seashells and corals. A connection to the Chariot House next to the Royal Press was found. A horse stable was found as evidenced from the horse bones buried. It is speculated that the horses were used to pull the chariots. 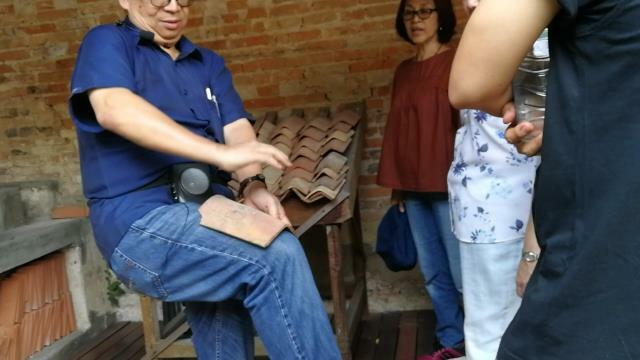 Roof tiles used in Malacca cannot be found in Malaysia anymore. However, similar ones can be found in Vietnam. The tiles are made by placing clay on the thighs. So the sizes are not even. 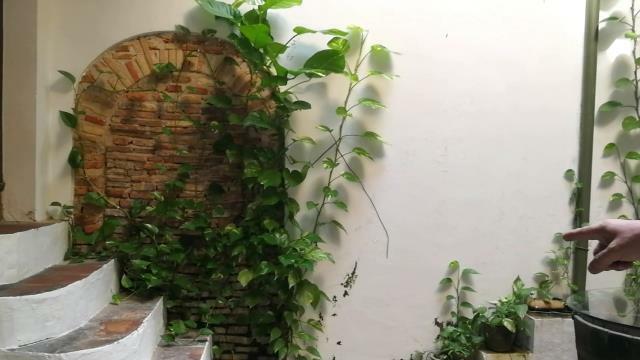 Professor Johannes Widodo and team want to turn this place into a conservation clinic to show that it is possible to do a sensitive conservation and not to turn everything into boutique hotels and cafes. During the opening ceremony, the Malacca Governor was invited to officiate and he suggested calling this place 54-56. The contractor bought 4D and was delighted when he won the first prize! He bought a 4-Wheel Drive with his winning money. This burial, dating from the South East Asian Bronze Age (around 600 BCE to 200 CE), was discovered in Kampung Sungai Lang in Selangor in the 1960s. It is the only one of its type in Peninsular Malaysia although others of the same kind have been found in other locations around South East Asia. The grave was situated under a mound which had later been covered by mangrove and peat swamp. Eleven earthenware bowls lay between the drums, possibly vessels for food and water. Glass beads were scattered around one cluster of shards. 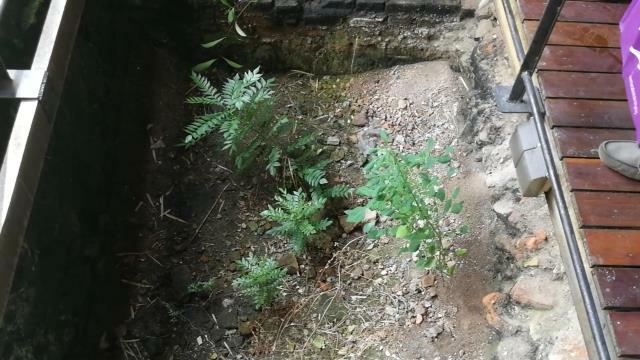 No human remains were uncovered in this burial, probably due to the ravages of animals and the tropical climate. It is generally thought that this grave represents a boat burial because planks of wood at the site are consistent with the same species of wood usually used in boat building. Two drums lay upside down on these planks. 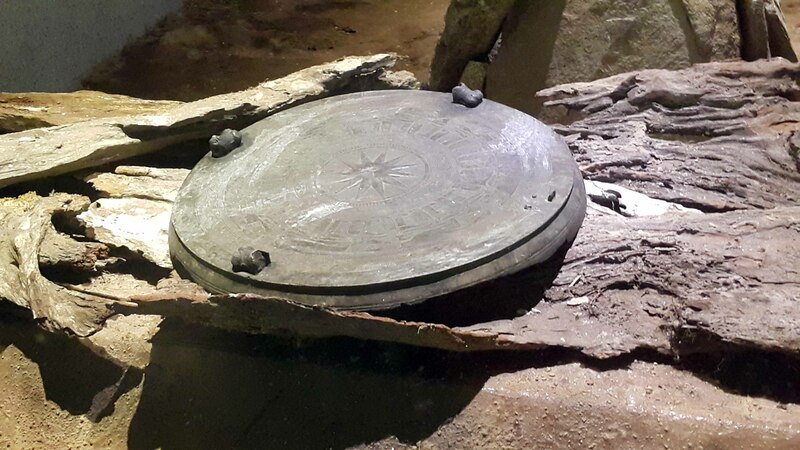 In the museum, one has been placed the right way up to reveal the design of geometric shapes, animals and weapons, drawn within concentric circles around a star or a sun motif (depending on the source). This important central design comprises a circle of triangular motifs, possibly representing bamboo shoots, worked in low relief, creating the points of a star that stand out in high relief. The drums originate from the Dong Son people of North Vietnam. The drums were used to communicate with the spirits in religious ceremonies such as to ask for rain. They belonged to high-ranking people, whose remains were sometimes buried inside, so that they could keep their status in the afterlife. It is thought that the drums were arranged upside down either to show that they were not used as containers for food or suchlike, or maybe to protect the power of the surface (and that is the only thing which still remains intact!). The boat connection suggests that this might be the burial of the head of a riverine village. The fact that we find these drums all over South East Asia indicates that trade was already widespread in the region at this time. The drums were probably also used to play music for dancers. These drums were still being made in Thailand at the beginning of the 20th century, and are still in use amongst a few tribes of North Vietnam today. The motifs on Dong Son drums can also still be found from this time on traditional pottery, jewellery and textile designs. It seems that these motifs have retained their power into the modern age. In Indonesia, the Sultan of Yogyakarta was traditionally the only one allowed to wear batik sarongs with large bands of motifs similar to the ones on Dong Son drums. This kind of burial has been found along Perak coastal areas. 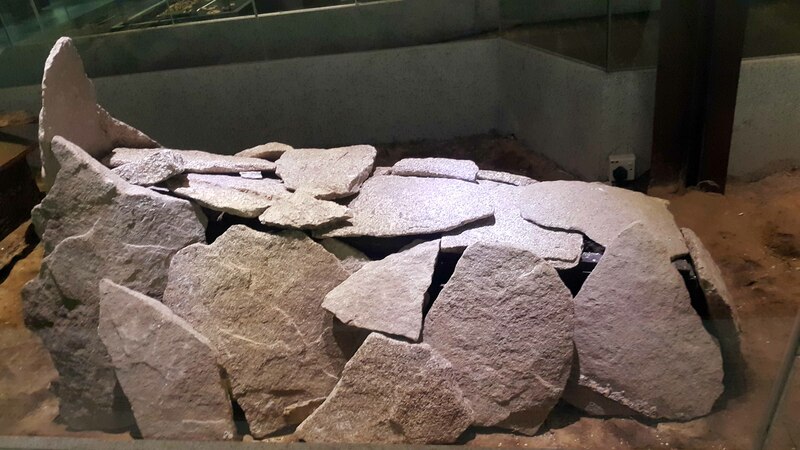 The slabs are arranged on top of each other with the head area larger than the foot. Although no human remains were found during excavation, the archaeologists did uncover glass beads, earthenware pottery and iron tools. This shows that these burials were used during the Iron Age from around 300CE until the end of the proto-history era, around 1400CE. Gallery A shows us that the forest played an essential place in prehistoric daily life. In the past, trees were also important. More than 1000 trunk burials of this type have been found in large limestone caves in Sabah. Carbon 14 dating has revealed that they are 1100 years old. Some similar burials have been found in Thailand, but they are 1000 years older. The coffin in the museum measures about 2 meters, but coffins of this type may be up to 4 meters in length. The trunks, made of local hardwoods such as iron wood, were cut in half and hollowed out. The handles were simple and were used to carry the coffin into the cave. Some handles were decorated with snake, buffalo, crocodile or bird heads. The coffin was carried up to the cave by slaves who could win their freedom if they arrived safely. This coffin was probably intended for a person of high status in the community. Weapons and food remains have been found scattered around the coffins. 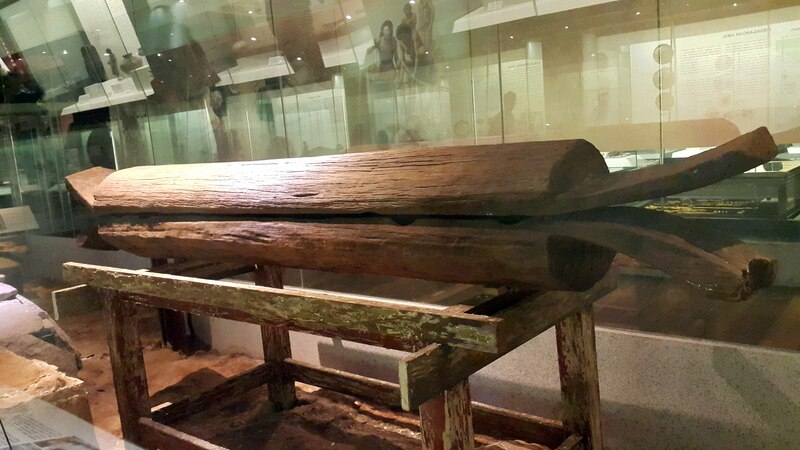 Some indigenous groups of Sabah still use this kind of coffin. Skeletal remains can be seen in this jar to illustrate secondary burials. 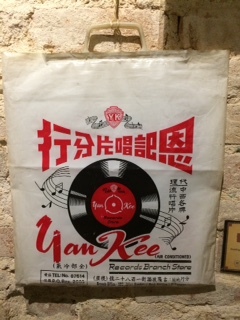 On display at Gallery A, Muzium Negara. Jar burials, the interment of secondary remains in locally-made terracotta urns, date back to the Metal Age, as can be seen from the discoveries made in the Gua Niah limestone caves in Sarawak by Tom Harrisson (former curator of the Sarawak Museum 1947-66) and his wife in the late 1950s. Other similar jars have been found in Sabah and Terengganu. In Sabah and Sarawak secondary burials in jars with the bones of several people have been uncovered. Until modern times in Borneo amongst indigenous animist communities, it was the custom to keep the deceased within the house (usually in the upper area) so that family members could pray and meditate around the remains for a period of time, sometimes as long as a year or more. At a later date, when the body had completely decayed, the bones were gathered and put into a jar which was taken either to a high burial platform (salong) deep in the forest or interred in the ground. In some cases the body was originally buried until the family had enough money to carry out the proper rites, when the remains were dug up and transferred to a jar for traditional interment. 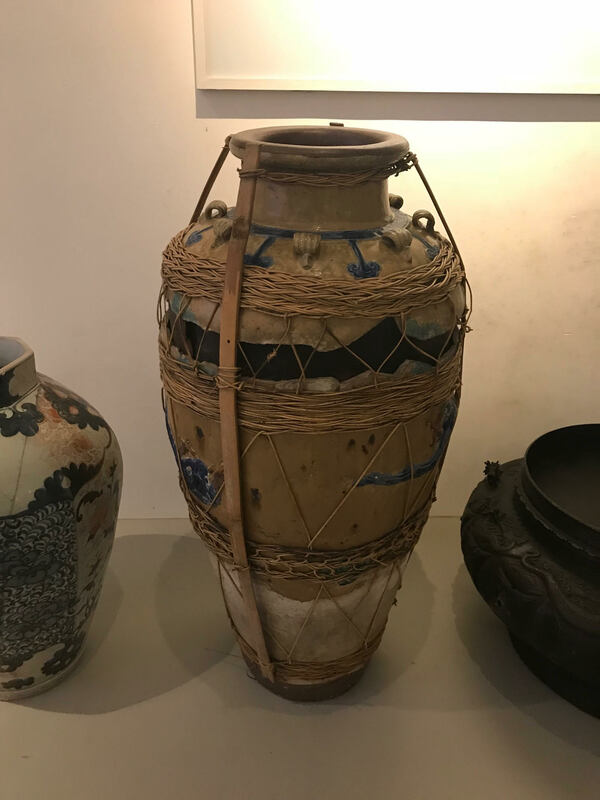 Later burials made use of Chinese jars, often referred to as martabans or tajau (in the local language), which have been be found widespread throughout South East Asia, and also in Korea and Japan. Jars like those featured in Gallery A, would have originated in China or Indo-China. Some tribes from Sarawak left the jars in the forest near megaliths or encased them within klirieng totem poles. Amongst some indigenous groups of Borneo, these jars represent the maternal womb; the bones are the foetus waiting for reincarnation or rebirth. 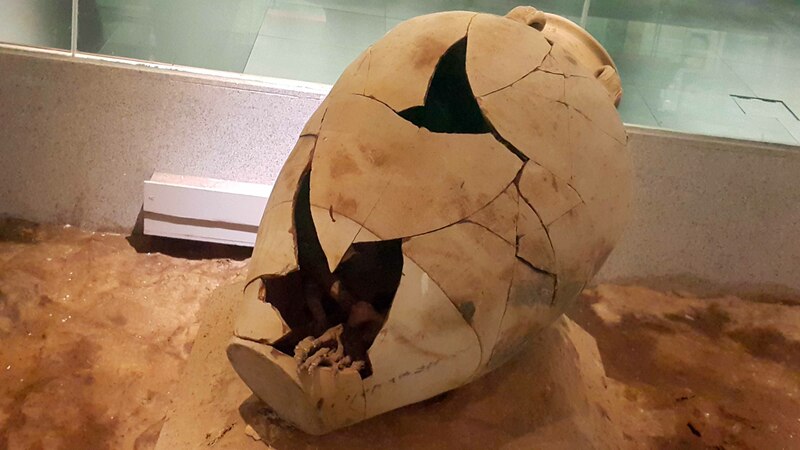 The Kuching museum contains a fascinating example of one such jar that unusually contained an entire body originally placed in a primary burial. It was found by Harrisson in the 1960s in the Kelabit Highlands of Sarawak at a burial site known as Budak Butal, and has been dated to the 2nd century BCE. An entire corpse was interred in the jar, which had been carefully bisected around the middle to hold the complete body. It was then resealed probably with resin, or local rubber. After a period of time by which time the body would have decomposed completely, the jar was opened so that the ritual for secondary burial could take place. The remains were then re-interred in the burial ground, either in the same vessel, or in another intact jar or coffin. This elaborate- and expensive- practice would have been the preserve of high status members of the community. The rattan casing was added later, most likely for transportation / display purposes – or to protect the fragile vase. Jar burials of this type do not seem to have occurred elsewhere. The tradition was probably discontinued at least by the 1940s; the Kelabit people have now mostly embraced Christianity. Martaban jar found by Tom Harrison at Budak Butal. 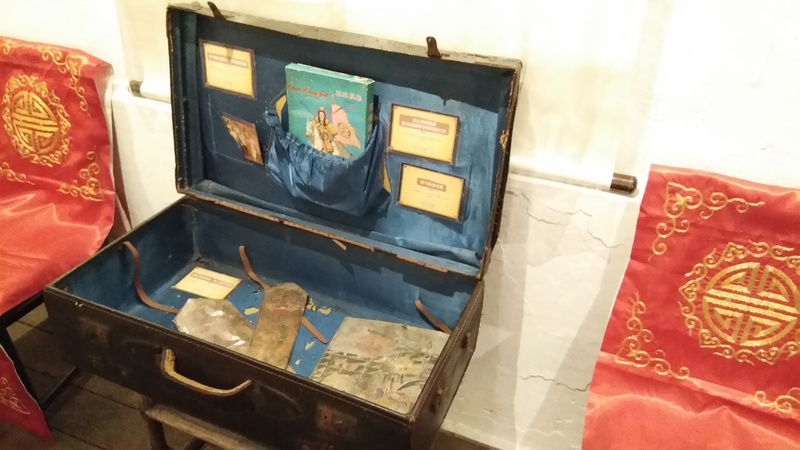 On display at the Sarawak Museum. A big thank-you to Dr. Borbala Nyiri for details on the Budak Butal burial jar. A dictionary of archaeology edited by Jan Shaw& Robert Jameson. The Oxford companion to archaeology edited by Brian M. Fagan. Co Vat Phu Tho. Edition: the culture & information. 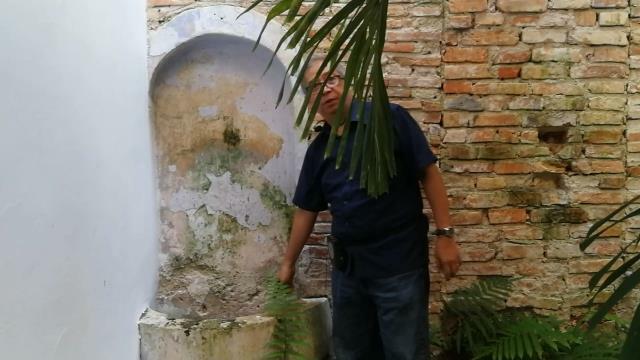 This may sound more like a ‘Conan Doyle’ story than an article by a Museum Volunteer; so, let’s find out what’s behind this ‘Mystery of the Bunga Mas’. Everybody will probably be familiar with the Bunga Mas, a reproduction of which is on display in Gallery C of the National Museum. The correct name of this artefact is actually Bunga Mas dan Perak, which, rather than ‘Golden Flower’ means ‘Gold and Silver Flower’. Indeed, it is very likely that such an imposing artefact, weighing several pounds, with a height of about 1.5 m1, would be very fragile had it been made of solid gold. But as the actual name seems to indicate, it was probably made of gold-plated silver. The gifts of the Bunga Mas were sent to the King of Siam every three years, by the Sultans of the Northern Malay States (Kedah, Terengganu, Kelantan, Patani,…) accompanied with other gifts, such as shields and spears. These gifts from the Sultans to the King, were probably laden with deep political misunderstanding: while the King of Siam would consider them as a recognition of suzerainty over the Malay Sultanates, the Sultans would simply regard them as a token of friendship. The relationship between the northern Sultanates and the Kingdom of Siam had never been an easy one, as can be seen by the various appeals for ‘protection’ to the different occupying powers, be it the Dutch or later the British. There could occasionally even be exchanges of concealed insults. According to a note found in the Cambridge University Library2 (Archives of the British Association of Malaysia and Singapore), the author mentions that he had seen a letter which was sent to the Sultan of Terengganu by the King of Siam in which the latter reversed the traditional courteous formula: ‘sending a gift from the Head of the Sultan to the feet of the King’, into the insulting reply: ‘from beneath the King’s feet to the crown of the Sultan’s head’. The last Bunga Mas from Kedah to the King of Siam was sent in 1906. Three years later, another Bunga Mas was ready to be sent. In March 1909, however, before it could be send to Siam, Britain and Siam signed a treaty in which the sovereignty over the northern sultanates of Malaya (with the exception of Patani and Setul) was to be transferred to Britain. 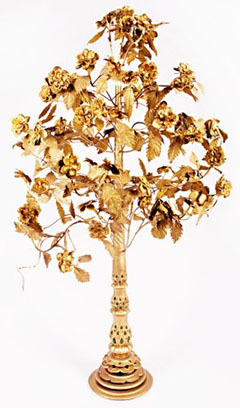 According to the above-mentioned note, the Sultan of Kedah sent this Bunga Mas to King Edward VII instead. In the first report of the British advisor to Kedah, Mr. Maxwell, he noted that during the meeting of the State Council on August 23rd 1909, the question arose whether sending the Bunga Mas to Edward VII was to be regarded as ‘the last of a series relating to a remote past’. The offer was indeed accepted, and Tunku Muhammad Jiwa, who had conveyed the previous Bunga Mas to Bangkok, set off to Singapore. Two Bunga Mas, together with forty-two spears and twenty-four shields, as well as a Bunga Mas from Perlis, and ‘other offerings from Terengganu’, were sent to the Colonial Office, and were personally presented to the King by the Secretary of States to the Colonies. This is where the mystery begins. Although the Archives of Windsor Castle mention that the gift had been received by King Edward, all of the artefacts have subsequently disappeared. There is no mention of them whatsoever in the Royal Collections. A few months ago, the curator for the Royal Gifts, when questioned by me about these artefacts, told me that they had never been heard of. They are certainly not registered in the current inventory. Furthermore, it seems that another final gift of Bunga Mas was sent in 1911 to King George V by the Sultan of Kedah on the occasion of the King’s coronation. This too seems to have disappeared! Now there is food for further research: Kedah Archives, Malaysian National Archives, British Colonial Office Archives…MVs! Get ready! Amidst a number of examples of the Islamic influence on metal and ceramic wares in a showcase in Gallery B, a small bowl can be found with the intriguing description ‘Magic Square Bowl’. It looks like a small Chinese rice bowl but is decorated with Islamic script. 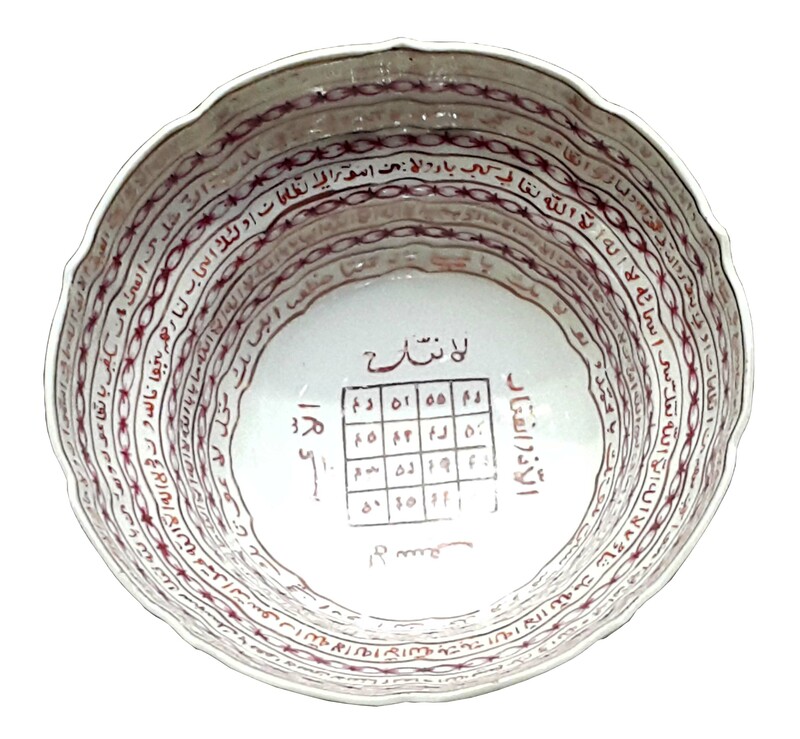 On the inside of the bowl is a square consisting of sixteen smaller squares, also containing Islamic writing. Was it used to perform magic, or was it magical in itself? During the Tang Dynasty (618-907) Chinese ceramics with Islamic script were already produced in China and transported along the maritime trade routes by Arab and Persian traders. After the Tang Dynasty, ceramics with Islamic inscriptions were no longer produced. Only in the early 16th Century did they appear again. 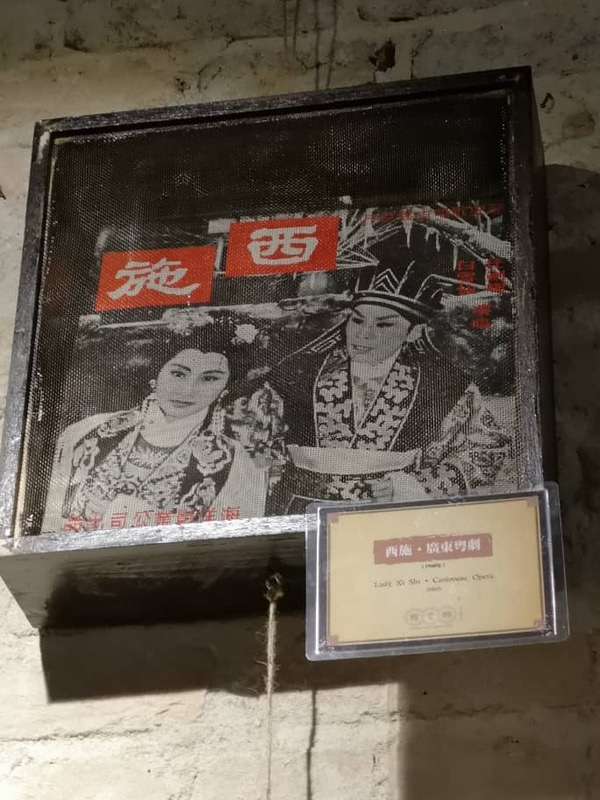 The Magic Square Bowl in Gallery B is from the 18th Century Qing Dynasty. The Magic Square, or Buduh tradition, predates Islam. The early Magic Square is thought to be of Chinese origin and consisted of a 3×3 square with 9 smaller squares. The numbers 1-9, with the number 5 in the centre, add up to 15 in each row, column and the two diagonals. 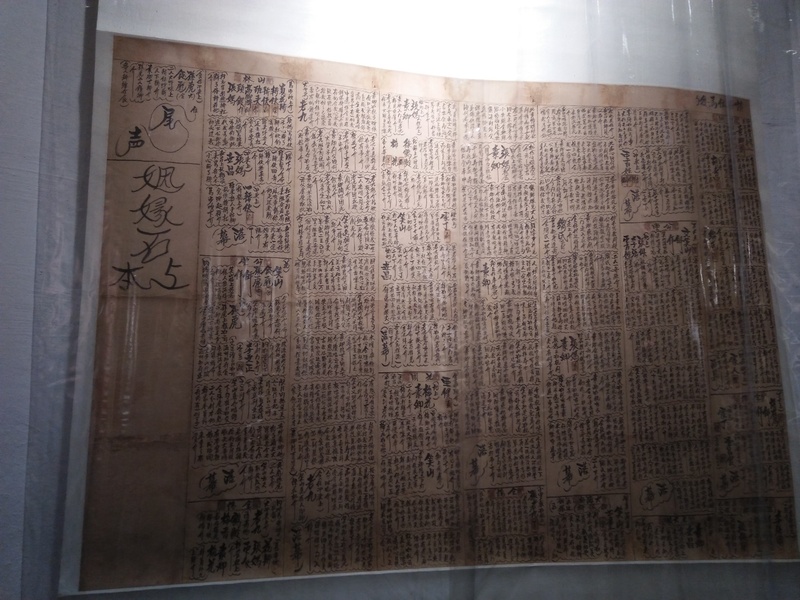 An early version of Sudoku? A Magic Square was used to find love, prevent fears, attacks and poisoning. It helped during childbirth and also in finding lost objects. In short, it could be quite helpful for many occasions. Later, there were Magic Squares of 4×4, 6×6, 7×7, and 10×10, and even 100×100 squares with an arrangement of letters and numerals. Islamic mathematicians in the Arab world already knew about the Magic Square as early as the 7th Century. This knowledge may have come from India through the study of Indian astronomy and mathematics, or from China. The earliest Magic Squares were written in ‘abjad’ letter-numerals. The four corners of the square were marked with the letters ba’, dal, waw (or u) and ha. Therefore, this particular square was known as the ‘Buduh’ square. The name ‘Buduh’ itself was so powerful that it was regarded as a most effective talisman, and so was the letter B with its numerical equivalents 2,4,6,8. This arrangement of letters and its corresponding numbers is believed to protect travellers, babies, postal letters and packages. Even today in some Islamic countries, one can find packages marked with the numbers 2,4,6 or 8 in the corners, or just the letter B added under the address to ensure that the items arrive safely. This might be something worth trying out! Magic Squares were used by Muslims as religious mandalas, meditation devices, talisman, and amulets. They were drawn on a variety of objects, even on skin. The Arabic letters and numerals in the Magic Square can also be read as one of the ninety-nine names or attributes of God. The numerical value with a certain specific meaning can be obtained by adding the corresponding letters of any of the columns of the Magic Square in a horizontal, vertical or diagonal way. Do they have a religious meaning? Or are they just meant to bring good luck in any situation?